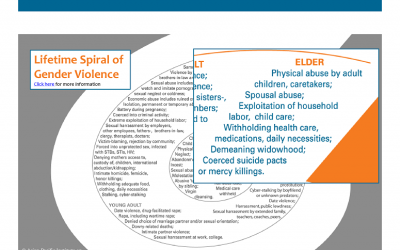 Culture impacts the definition of elder mistreatment, help seeking behavior, methods of intervention, and more. It can be a source of both risk and protective factors for an elder. This research brief provides insight into general cultural beliefs, views, norms, etc. 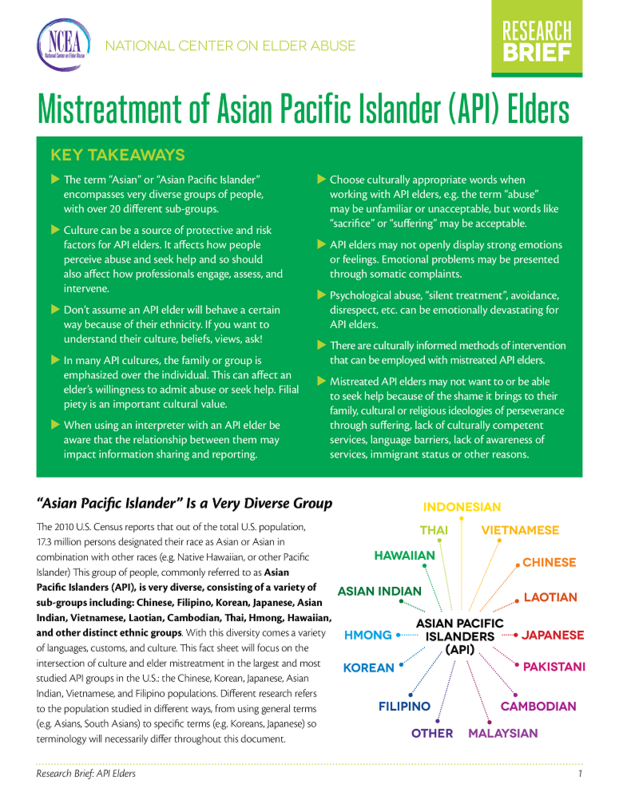 of API groups and how they may relate to and influence elder mistreatment. Information is provided on API perception of elder mistreatment, API emphasis of the group/family over the individual, API help seeking behavior assessment of elder mistreatment, considerations for intervention, and on cultural considerations for elder mistreatment by API sub-group.